As with football, hockey or other sports, special clothing is also required for dance. It is important that body posture is seen well. In addition to giving rest and unity in class, it improves the quality of the lesson. Also with shows is very nice if all students have the same basis. In addition, the right ballet shoes are important so I can see if the feet are used optimally. Nb. Shoes from the H & M, 'schoenenreus' I don't recommend because the fit is bad, the shoes are easy to go out and the shoes are too slippery. Easy-going sportswear is good for following a test lesson. If you decide to follow our classes, the following clothing requirements are for sale at the Danswinkel The Hague. For the parent / toddler dance course no clothing requirements apply. -Plain black jazzpants with straight legs. Do I have to have the right clothes for a trial lesson? For taking a trial lesson, easy-fitting sportswear is fine. If you decide to attend our classes, the following dress codes for sale at the dance shop Dan Haag are mandatory. No dress code applies for the parent / toddler dance course. Just like football, hockey or other sports, special clothing is also needed for dance. It is important that body posture is seen well. In addition to giving peace and unity in the lesson, the quality of the lesson is good. Also with performances is very nice if all students have the same basis. In addition, the correct (ballet) shoes are important so that I can see if the feet are used optimally. Why do I have to buy the indicated model? So everyone has the same. This gives unity in the lesson and with performances it is nice if everyone has the same thing. Another brand or model can be just another color and looks diffrent. Why does my child have to dance sneakers from the age of 9 in the street jazz class? Good dance shoes are very important. The sneakers ensure that the dancers have more grip, which benefits the dance. Also, these sneakers have better cushioning for the joints. What injuries prevents. In class to 9 years, I do not choose a sneaker because in this lesson even more work on the development of the stretching of the feet. In the lesson from 9 years on, more jumps and movements are faster, sneakers offer more grip and support. Can I also buy a different model sneaker than the high PA1500 model of papillon? It is nice if everyone has the same model because of performances and presentations. They are not cheap, but good footwear is a must. It prevents injuries. Furthermore, you can always sell the shoes. On the bulletin board in the studio it is possible to hang up a note to sell second hand dance stuff. 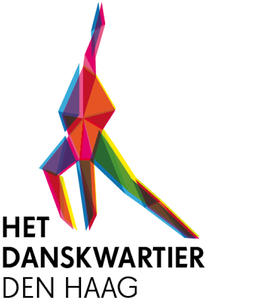 At the dance shop students of The Danskwartier Den Haag receive a 10% discount. I have a black pants / top with text / image / glitters on can I wear it too? It is nice if everyone has a plain black dance pants because of the unity in the lesson and for performances and presentations. Why should the hair be fixed / in a bun? So they do not get in the way while dancing. In classical ballet it is nice to have your hair in a bun so that the teacher can see your neck well. Students from Het Danskwartier Den Haag get 10% discount!